So yesterday I decided to take a leap and host my own furniture party on Fridays of each week. I had been tossing around ideas in my head of wether or not to do this and what would I call this party? Unfortunately when I came up with the name, I did not check to see what was out there in blogland for linky party names. Well after many replies of excitement and encouragement, I received that one reply that just erases all the other good ones. 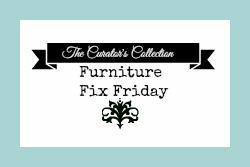 I was not aware of this other blog’s party or the fact that they used the phrase “Furniture Fix”. I say that almost everyday when I go to work in my garage “I’m going out to get my daily furniture fix, I’ll be in the garage if anyone needs me!” It just felt natural to use this as the name of my linky party. I am truly sorry to anyone I may have offended by using this phrase but I do not use it to steal readers from anyone else. I want to be clear about my intentions for this party. I believe in encouraging each other in our talents and creations and not being jealous of someone who may be shining in his/her talent. Let those people be an inspiration to the rest of us to keep going and do what we enjoy. This is where we can learn and be inspired by others. This party is to be uplifting to each person who comes and is not a competition. I just want those who get excited about their accomplishments to have a place to share them and say “look what I did” and for others to say back “well done!”. I will change the name of my party but I will not be told that I can’t say “come get your weekly furniture fix” any time I feel … does anyone REALLY own that anyways? I refuse to let someone snuff out my party before it even gets started. For those of you who don’t know, I DO NOT make a single red cent off of my blog. It is something that I created to share the things I’ve created and my passion for old broken furniture and design. When you join my party and I receive more traffic on my blog ( as will you by joining) I do not gain anything monetary by doing so. THIS IS NOT A MONEY MAKING BLOG. There is nothing wrong with making money off of blogging and bloggers work very hard and put in many hours creating and maintaining their blogs, blogging is very time consuming and can be expensive. I really respect those who have worked hard to make their blogs profitable, but I did not create this blog to make money, just to share with others. So when I refer to fixing furniture as getting my furniture fix it wasn’t to copy anyone else or to take away from anyone else, it was because that was what I meant “need to get my furniture fix”! Plus… you can’t copy something you didn’t know existed. Moral of the story….. GOOGLE EVERYTHING!!!! 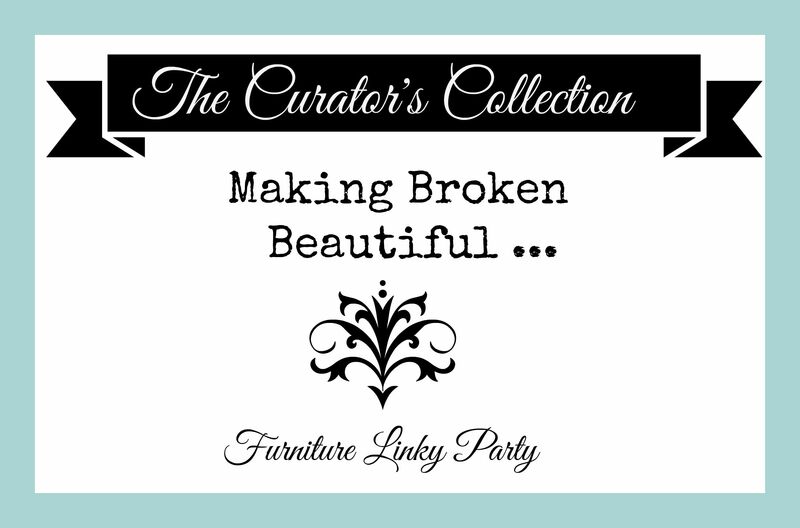 Now … I would like you all to please join me here this week for the very first Making Broken Beautiful furniture linky party! Thank you all so very much for your kind words and excitement towards this party. I can’t wait to see what you share! Remember that submissions to this party begin Thursday August 6 at 6:00pm (MST) and are open until Saturday August 9 at 6:00pm. Thank you again to all joining in and a sincere apology to those whom I have unknowingly offended! “keep away from those who try to belittle your ambitions. « An Exciting Announcement & An Invitation! Well said and I will be joining your party. Thank you Manja! I’m so happy you will be there! I only wish I had a piece of refinished furniture and a blog so I could post to your party. Love the new name, hoping your party is a huge success! I have watched your pieces over the last year and my husband is so glad we don’t live close to your shop! Thank you Peggy!!!! You are so sweet! My husband agrees with your husband but what do they know right? Ha ha! I wish you lived closer too! Thank you for your following and kind comments, I love to chat with all my followers/friends! You should consider making a blog just to link up :o)! I hope there will lots for you to tune into on Friday! How sad that you were treated that way. I have never understood the female dynamics of not supporting one another, not to mention the arrogance of telling you that you are forbidden to use that phrase. 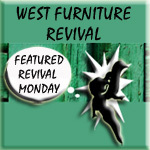 I look forward to your blog and specifically the Making Broken Beautiful posts (who does not love a good furniture fix). To the other blogger I say, be kind, try including and supporting others. Oh Kathleen I thank you so much for your kind words! I 100% agree with you! We all make each other better when we aren’t out for just ourselves:0)! Girl, you are way nicer than I would have been! Not sure they deserved the apologies. You had the exact same idea that these ladies did, they just happened to be 5 days earlier. It’s just sad they would try to shut it down through bullying. Your party will be great, whatever the name is! Awe! Thank you so much for the words of encouragement. I so hope that this can be a place where people can share and feel like they are good enough to participate. I want everyone from the beginner to the well seasoned to join in. It is for fun and inspiration after all not to oneup each other! I give them an apology only because I truly did not want to offend them …. that is not who I am … that is not my heart. Integrity :0) right? This has happened to me in the past too and it puts such a damper on our excitement; but only for the moment, then we come up with something even better, right?! I think the new name better relates back to your blog anyway. Your link party is going to be just as wonderful. Can’t wait to join in! One request thought… any chance you could start it earlier in the day on Friday? (I often get busy around dinner time and miss that small window to enter). I agree with you, had they not made a fuss I wouldn’t have this great name :0) ! I am so happy you will be joining in. You have plenty of time to join up as you can submit anytime starting today at 6:00pm until Saturday evening. I know what you mean about getting busy and missing the boat …. family first :0)! Have a great day and thank you for taking the time to comment! Well…..you just GO GIRL!!!! Handled that very well. Thank you Debra! Too bad the other blog feels so threatened by “the little guy”. See you here later on! Personally I would carry on with the original name! I HATE BULLIES! And ‘offend them’, what right have they to be offended? They don’t own the internet, nor I suspect the copy right of the phrase you used. However, you are showing yourself to be by far the better, and nicer person by being kind enough to change the name of your party, so all credit to YOU, I would have told them to go to …..! Thank you! This group of bloggers are riding the tailcoat of another successful friday furniture party that ended a week or so ago. Apparently they had their party endorsed by that very popular blogger and I should feel threatened by that? They are just trying to benefit off of something someone else worked hard to build. 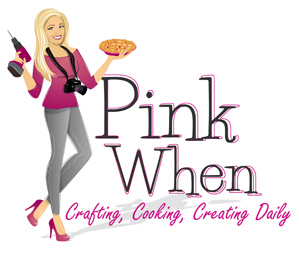 Who knew one needed the approval of another blogger to host a linky party. Like I said before, I am not in competition with anyone … I just want to have fun and leave the politics out of it. I don’t know them but my first experience with them makes me have a bad taste in my mouth for sure. Sad really … then turn around and send me another email inviting me to join their party and give me a suggestion for renaming my party. WoW! I hope you have a great day and pop in later for the fun! I have also followed your blog for some time now and I always love seeing your “fixes”. I, too, hope to have something to post on your Friday posts. And I agree that you were very gracious in your handling of the situation. It’s always best to take the high road when possible. Job well done. Thank you Karen! I always enjoy hearing from you and I can’t wait to check out each entry! Even if you don’t have something new to share I would love to see past projects as well :0) So share away! Thank you for your support! Love your attitude in all of this, Terry! Love your new name! Thank you Kendra! It turned into a really big deal fast and I don’t think it’s worth it to ruffle any feathers any further than I already had with just making my own weekly get together. I like to think I’m a better person than that. I like to support others and not beat them down. I wish those bloggers every success with their writing and creating! Hope to see you there this evening! Smiles for a great day! I follow blogs to be inspired by the beautiful things others create. Even if it’s not my style I can look at it and appreciate it. I’m looking forward to Friday’s and the projects featured. The internet is a great tool for creativity but unfortunately some people think that no one can have an original thought. That everything is copied. I made some homemade Christmas ornaments two years ago and my neighbor wanted to know where on the internet I got the idea. I had to tell her the idea came from my own head. I’m sorry you had to change the name of your link party but I am looking forward to it just the same. I agree with you Becky! I too follow blogs for the same reason. I hope that word will spread and I can explore other new blogs I didn’t know were out there. Changing the name was a blessing in disguise as the whole incident showed me that there are people like yourself out there that are genuine and not out to just promote themselves through someone else’s success. Plus… why WOULDN”T you have a great idea all on your own? Silly neighbor! You have a great day Becky! Congrats to you on hosting your first party! I’m sure it will be a big success! Ha! unless they have copywrited that phrase they can not forbid you to use it. Doesn’t matter when they started using it. It’s only illegal for you if they have documentation. Ask for proof, or use it. I’m sure they aren’t the only ones who use it and if someone is confused and wanders over to you SO WHAT! Geeze Louise people. I know right???? Just wanna have fun …. no drama needed! I hope you link up one of your great projects!